By Emily Schwing • NWNews. On a visit to the the Spokane Indian Tribe Thursday U.S. 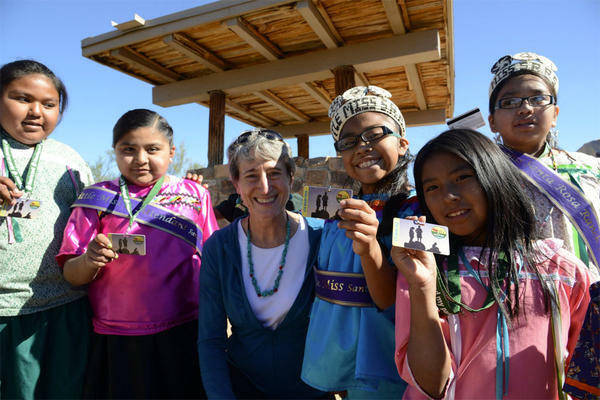 Interior Secretary Sally Jewell said changes under the Indian Child Welfare Act, or ICWA, close some long-standing loopholes in the law. Jewell said Thursday, changes under the Indian Child Welfare Act, or ICWA, close some long-standing loopholes in the law. The new rules require state courts to ask all participants at the beginning of custody proceedings about a child’s heritage. 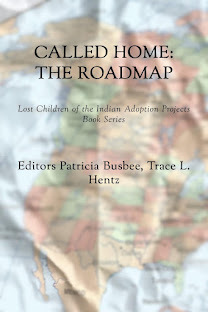 As well, only tribes can determine if a child is Indian. A spokeswoman from the National Indian Child Welfare Association said no organizations or agencies at the state or federal level track the number of kids placed under ICWA. The group’s most recent estimates say one-third of the Northwest’s native population was under the age of 19. High ranking government officials don’t come to Wellpinit, Washington, often. Jason Campbell, CEO of Sovereign Power, the Spokane Indian Tribe’s energy company, aid tribal leaders usually have to go to Washington, D.C., for this kind of conversation. The Spokane Tribe is a sovereign nation and you could say Wellpinit is the capital. There’s a clinic, a public safety building and the cars even have their own black and green license plates. Campbell was among leaders who offered Jewell a tour. They discussed many needs as an excited group of women gathered nearby. “The Spokane Tribe is being recognized and it’s about time. 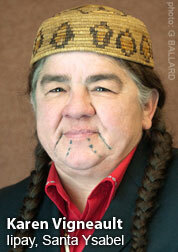 We need this,” said Nancy Raymond, who has lived on the Spokane Indian Reservation her whole life. The tribe was selected to participate in a federal initiative meant to boost economic prosperity. Secretary Jewell said that effort will continue despite the outgoing Obama administration. Two federal staff members will be dedicated to helping the tribe with long term projects. 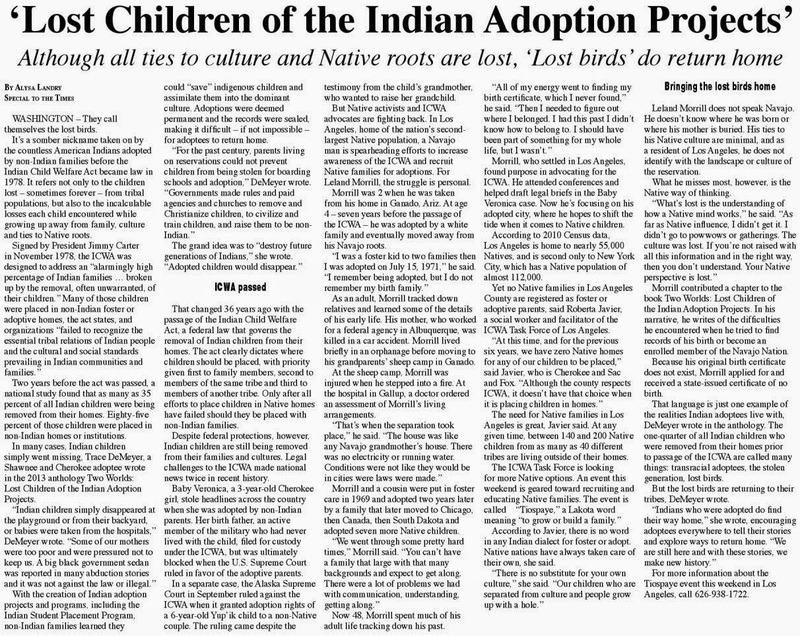 AND from the Christian group who is seeking to destroy ICWA: [Christian Newswire 2016. All Rights Reserved. 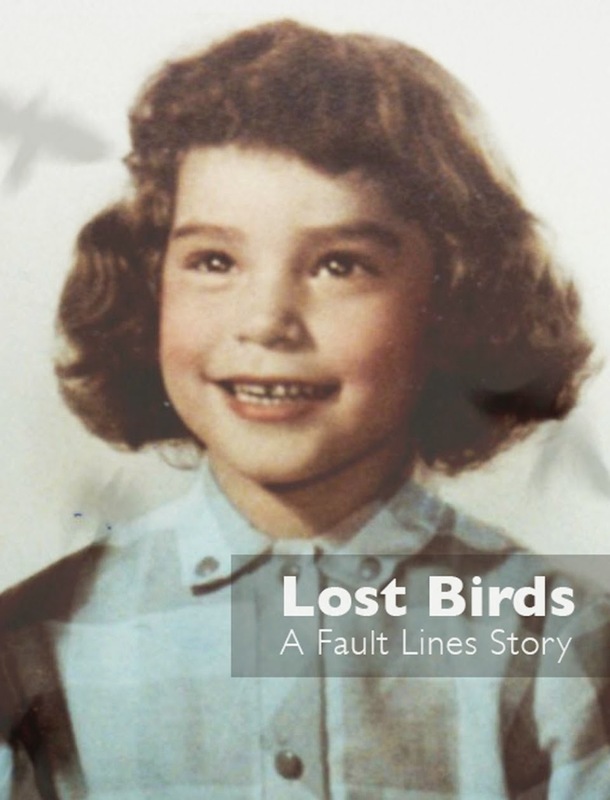 | 2020 Pennsylvania Ave. NW - Washington - DC - 20006 | 202-546-0054] Elizabeth Morris is Chair of the Christian Alliance for Indian Child Welfare and author of "Dying in Indian Country." CAICW, a ministry and advocacy, has assisted families judicially, educationally, and as a prayer resource since 2004. NARF statement about frivolous lawsuits: Since our founding 45 years ago, NARF has worked to protect the rights of Native children, families, and communities. 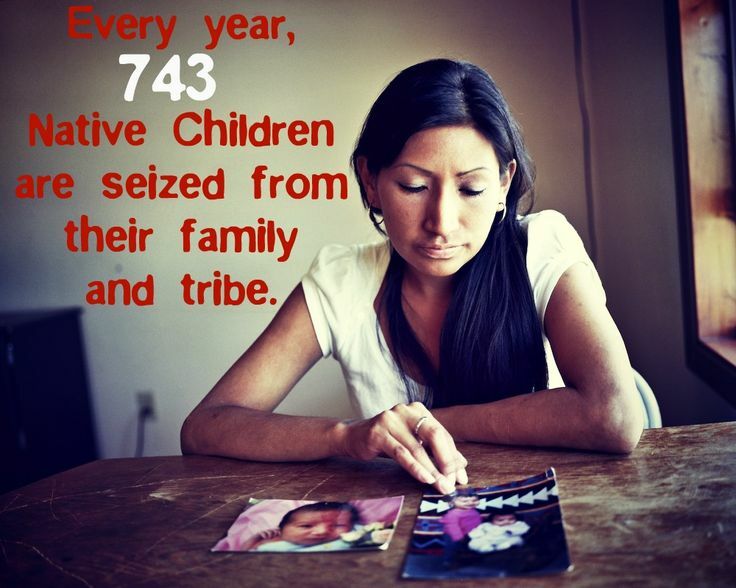 We stand hand in hand with our allies against these recent attacks on ICWA and we will fight these meritless lawsuits.